Governor Yahaya Bello of Kogi state had declared his interest to contest for a second term in office. This governor’s decision was contained in a statement issued by Onogwu Muhammed who is the chief press secretary to the governor on Wednesday, April 17. The governor was quoted as saying he decided to seek a second term after consultation with family and political stakeholders. The Kogi state governor, Alhaji Yahaya Bello on Wednesday, April 17 officially declared interest to contest the gubernatorial seat for a second term. He made this declaration at the banquet hall of the Government House, in Lokoja during the inauguration of the Kogi State House of Assembly Commission. 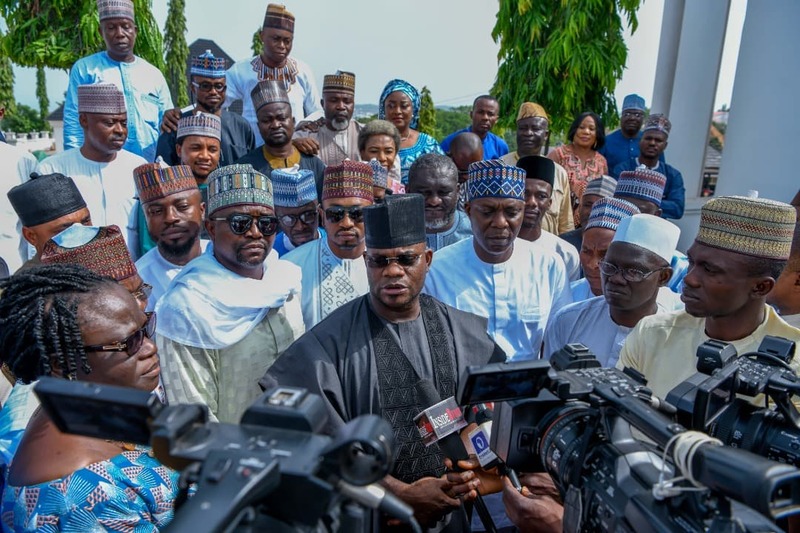 Governor Bello said his declaration came after thorough consultations with the leadership of his party both at the National and State level and calls from the people of Kogi State on him to run again. The Governor in his declaration also pointed out that following the official release of the State’s Election time table by the electoral umpire, it became necessary to make his intentions known. Speaking to press after the declaration' the Governor said “I would like to inform the good people of the State, the All Progressive Congress family and supporters from the state, the Local Government Areas down to the wards and polling units, as well as various stakeholders, opinion molders, families and friends of my interest to answer the people’s call to run for a second term in office as the Executive Governor of Kogi State. We have made tremendous progress in the last three years and based on our achievements, the people of the state have been calling on me to run again to consolidate on our first term achievements."